I love Bimini, I think it’s the best places in the world to go swimming with dolphins. Let’s face it, if you’re gonna travel somewhere to go swimming with dolphins, wouldn’t you want it to be in a beautiful warm, clean ocean with some of the most playful dolphins in the world? 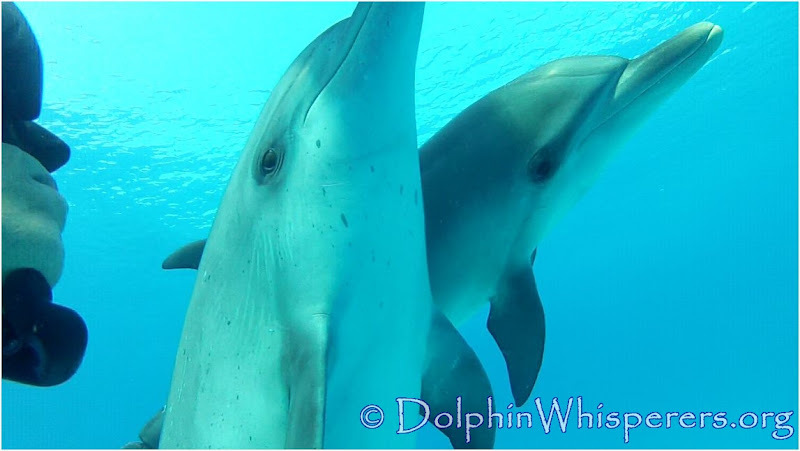 The spotted dolphins of Bimini are incredibly social and interactive. Because I focus on small group trips, we get to be in the water with them for extended lengths of time. You get to swim and play with the same dolphins over a longer span of time, something not available if you’re with a group of 10, 15 or 20 other people. The photo below is of six juvenile spotted dolphins who, in the middle of a two hour swim with them, all came over to scan Ben at the same time. The dolphins will frequently play seaweed tag with us. One of the things I love about these encounters is how long the game can last. This is a direct result of a low human-to-dolphin ratio. 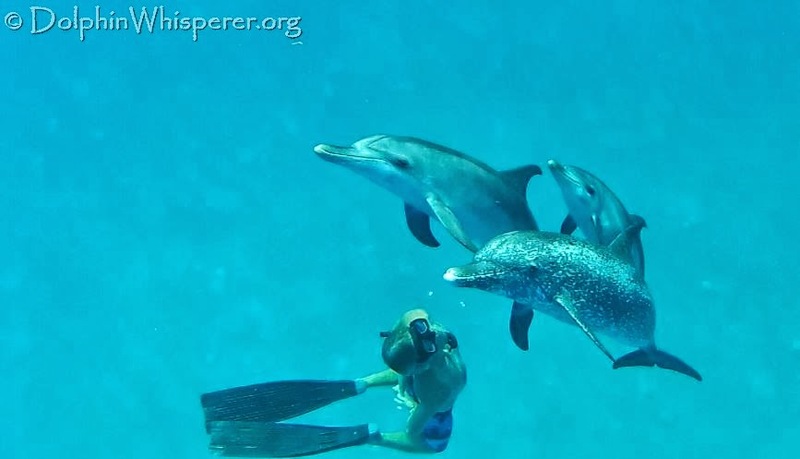 I’ve been bringing small groups and families to swim with the dolphins in Bimini for over 20 years. I’ve fallen in love with Bimini, and have been living here for over 15 years. After having swum with wild dolphins around the globe, I think the encounters we have here are literally the best in the world. If you are curious or have questions about my custom trips, please give me a call. I look forward to talking with you! Joe, Do you have any group trips planned that an individual could join? I would like to do a trip to Bimini to be with the dolphins, but am an individual, so would have to hook up with a group. Hi Marsha! Yes, please send me an email to the address found on the ‘QUESTIONS’ page! I am indiviual . will go with a group. I am very interested in swimming with the wild dolphins, since a young age I have been obsessed with dolphins. My boyfriend and I are heading to Nassau on the 6th of November. I was wondering how much your trips are please and if there was more information available please. Hello. Today is February 3, 2018. I am here at the Big Game resort with my daughter who is diving with sharks tomorrow. I am interested in a dolphin experience. Do you have any suggestions? Is there a place we can send private emails to discuss times? I can’t seem to find it. Looking for a good experience snorkeling with Dolphins for a day or two . . would be bringing 3 people in addition to myself. They are not underwater photographers like myself. Would be the 2nd week of June ’18. Ideas? Flights to/from Bimini from PBI or FLL? Please tell me more about your rates and availability. My husband and I are cruising on our sailboat in the Exumas and will be returning to Florida sometime near the end of May, depending on wind and weather. 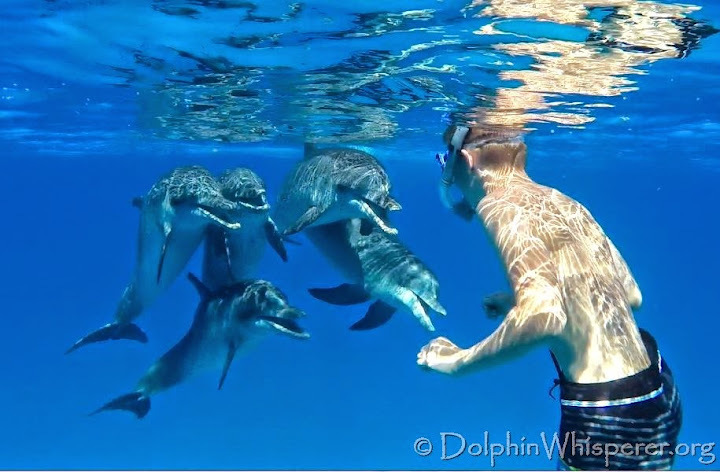 I would love to stop off at Bimini and swim with the wild dolphin pods you describe. I do not scuba dive- but love to snorkel. Please tell me more about your excursions. Hi I am interested in joining one of your groups. Hello I am interested in swimming with the dolphins. I would be arriving next weekend. Could you please give me a call so that we can arrange something if you are available (somewhere between 5/26 and 5/31) thanks much! we’re staying in south bimini. where are you guys located? Hi! I am coming to bimini this weekend with my family there is 9 of us not sure will want to join but wanted to know if you could accommodate an excursionnext Thursday or Friday and how much would it be. Hi can you contact me with prices for my wife and I as we will be taking our boat I’ve on this Friday to Sunday. Staying at Hilton and where are you located and how to contact . Do you have anything available Monday or Tuesday?